Come to camp for some winter fun! 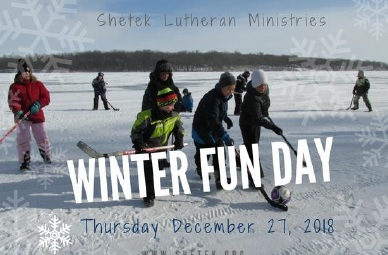 Come to camp over your holiday break to be reminded of God’s love and to have a blustery blast with winter camp activities like: Games, Arts and Crafts, Bible Time, Snowshoeing, Cross Country Skiing, Ice Fishing, Broomball, and other camp favorites! Have you ever snowshoed, cross country skied or ice fished? Now’s your chance! !